It's not like I hated it or anything, far from it. 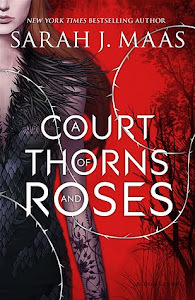 It was a good book to read but it was not as exciting or world-rocking as I wanted/expected it to be. Story is pretty straightforward: devastated girl (Wren) loses beloved boyfriend (Danny) in a car accident and brings him back from the dead, only to realise that he isn't the same person he used to be. That's my perpetual problem with zombie/resurrection books. While I completely get the reason people chose to bring back their loved ones from the dead, I really don't understand how can they even think these guys would be the same after they claw their way out of a freaking grave! That changes a person, one would think. Evidently, not heroes in books! So on top of the dead boyfriend problems, Wren is also attracted to the new guy at school (Gabrielle) who seems to know right from the start about Wren's powers. Now, while I was totally convinced about Wren and Danny's chemistry, unfortunately Wren and Gabrielle together didn't convince me at all. Maybe it was the lack of history of which she had plenty with Danny, I don't know. And while they were pretty much OK as individual characters, together they were very "meh" to me. I really liked the last scene, though. The one with Danny(not saying anymore!). I think it was very well thought out and had the perfect amount of sensitivity without being sappy. Overall, Cold Kiss was an OK read. Story dragged a little bit and it was tiring at parts. However, it had its bright moments and those being mostly Danny-centered. The writing was good and despite not being my cup of tea after all, all in all it was a good enough debut novel. 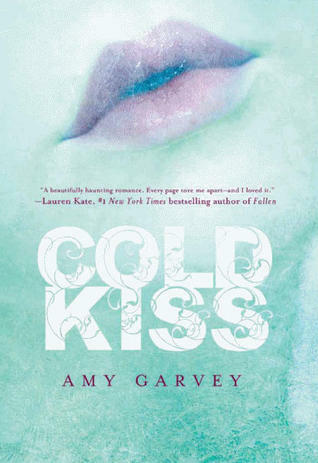 I'm writing my review for Cold Kiss right now. I loved the beginning but then I kind of got tired of her lamenting (& ignoring) what needed to be done. You know where it's headed so just face facts already. I really liked Gabrielle and could see why she needed to move on but he liked her A LOT after what? One or two conversations. I would still recommend it though.